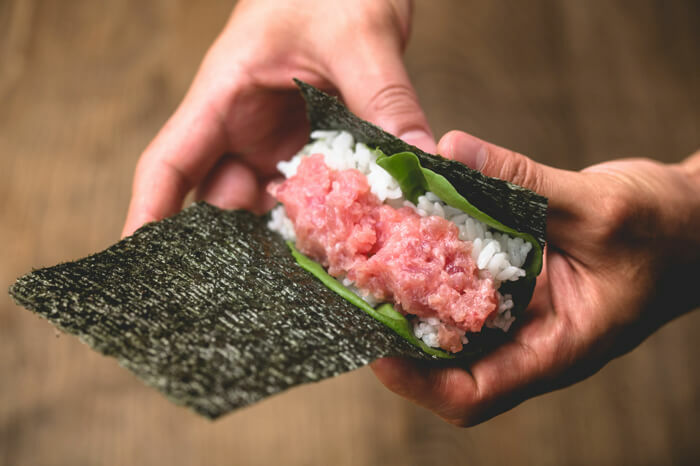 Traditional Japanese restaurant cuisine chain Gonpachi is opening its twelfth store, Gonpachi Nori-Temaki, in Harajuku on May 30. 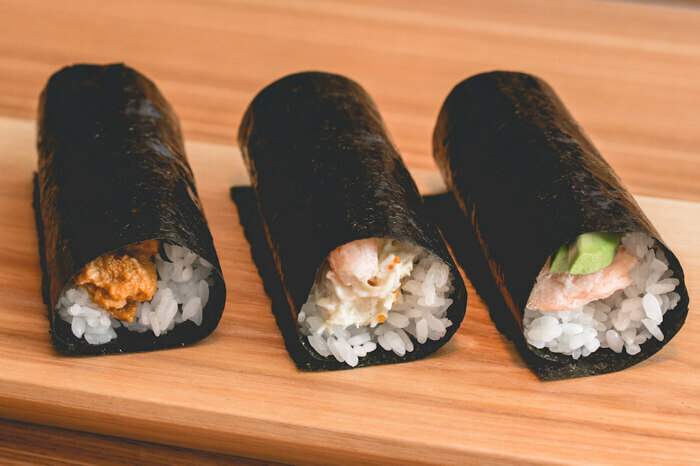 The restaurant is just a 2-minute walk from Harajuku Station along Omotesando and specialises in hand-rolled seaweed bites. 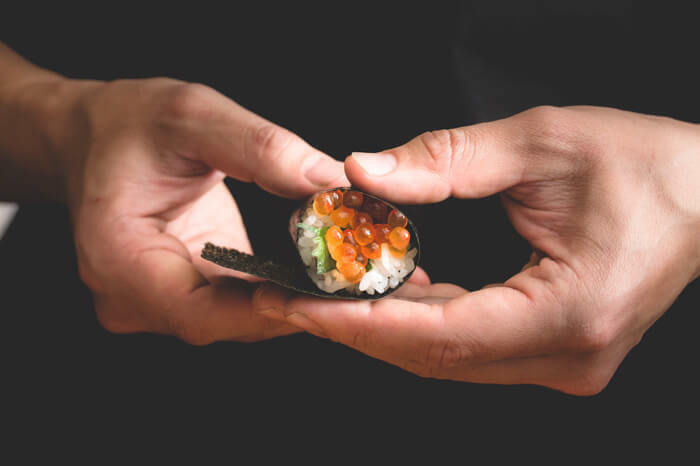 The restaurant aims to fuse modern designs with Japanese culture. 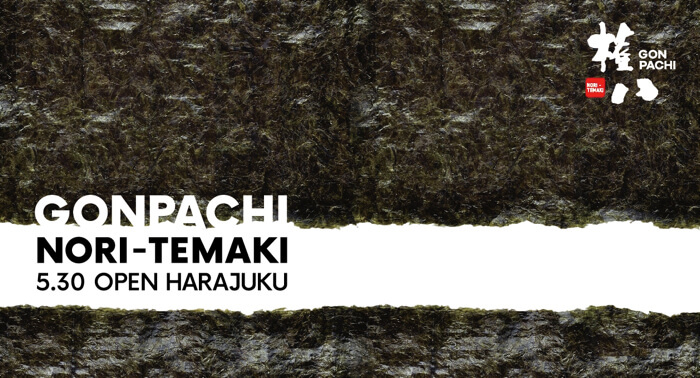 In the centre of the restaurant is a 360° counter where they serve customers freshly rolled seaweed temaki. The price range starts from ¥200 for one temaki. There are also sets available on the menu. 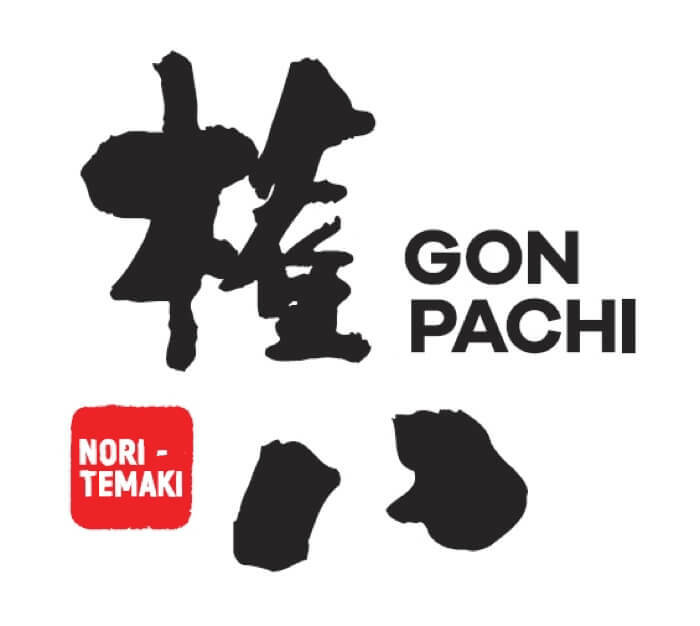 The name ‘Gonpachi’ originates from Shirai Gonpachi, the protagonist of a famous kabuki play. The seaweed at Gonpachi is kontobi seaweed from Maruyama Nori, a 160-year-old company who own a sushi shop with three Michelin stars. It has a fresh and natural taste as well as a light texture. As well as regular vinegared sushi rice, you can also order ‘cauliflower rice’ which has reduced sugar. It’s exceptionally nutritious and popular for its vitamin C and calcium content. The rice is an original Gonpachi creation. 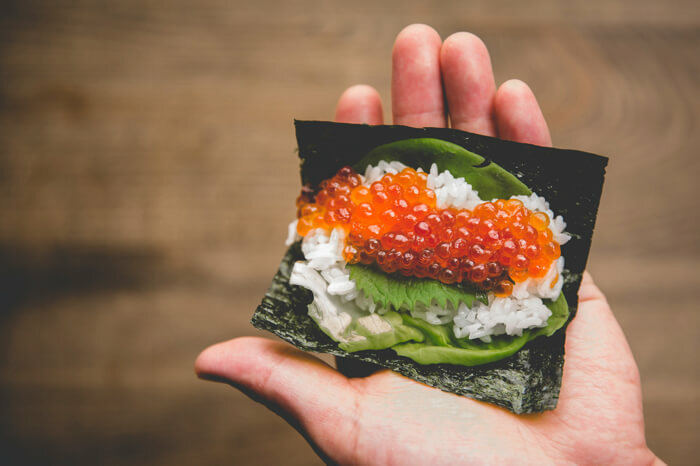 There’s a wide range of fillings to choose from, including Nagaimo Pollock Roe (Regular: ¥200 / Large: ¥350), Salmon Avocado (R: ¥300 / L: ¥480), Salmon Roe Soy Sauce Zuke (R: ¥450 / L: ¥600), Sea Urchin (R: ¥650 / L: ¥1,000), and more. The level of freshness in the line-up is exceptional across the board. *All prices above are pre-tax. 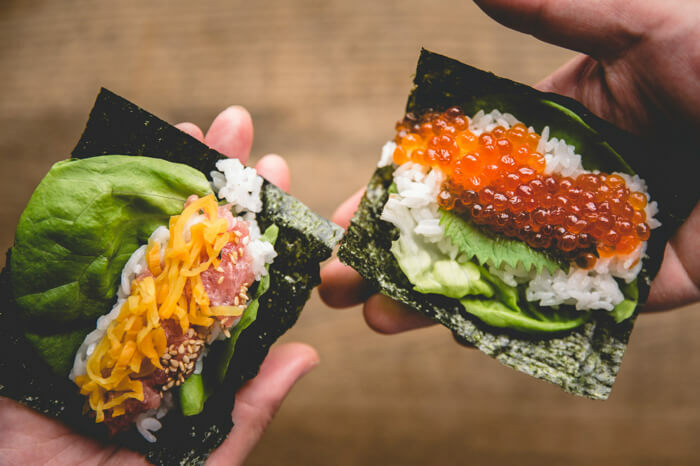 Enjoy some delicious temaki sushi in Harajuku with friends and family!